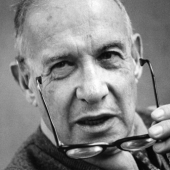 Peter Drucker on Big Data | What's The Big Data? They “come to you because of the service you give” in “systems and procedures analysis, understanding of data processing and information gathering,” Drucker told the group, which was presided over by IBM’s president, Thomas Watson Jr., the man who over the next 15 years would drive explosive growth at Big Blue. The computer actually may have aggravated management’s degenerative tendency to focus inward on costs… We can already discern and define the next, and perhaps even more important, task in developing an effective information system for top management: the collection and organization of OUTSIDE-focused information… Within the next 10 to 15 years, [collecting outside information] is going to be the next information frontier. This entry was posted in Big Data Analytics, Predictions. Bookmark the permalink. Hi Gil, I’m a brazilian academic student and now developing my paper for conclusion in Business degree. I got the Peter Drucker’s article at ASAP, but for mentioning him on the references I do really need the info like edition, volume, and pages of the magazine. If you know it or how could I get this info I will be really greatful. Unfortunately, Forbes’ site says nothing about it. Regards. Just found out more: v. 162, n. 04, p. 47 – 58. thank you very much!